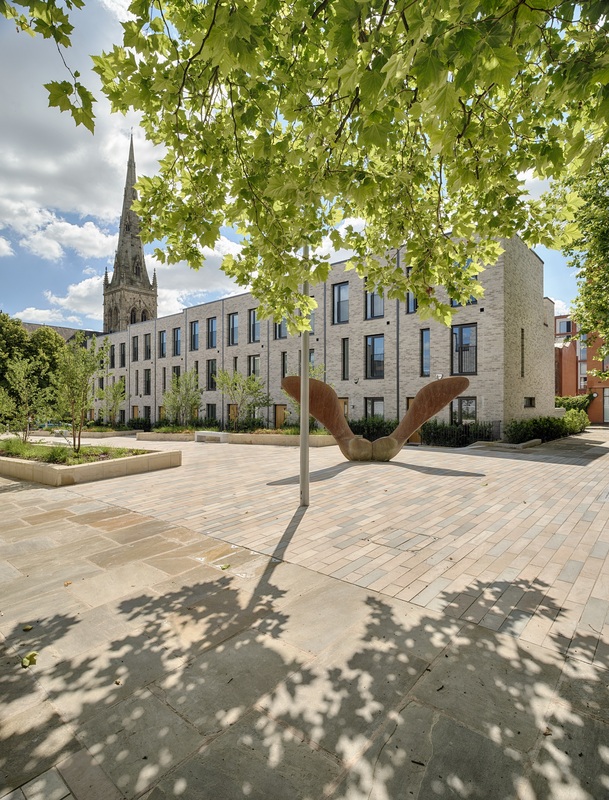 A development of 36 townhouses, Timekeepers Square is situated in the historic Adelphi/Bexley Square conservation area in Salford with the iconic Grade II listed St Phillips Church, at its centre. 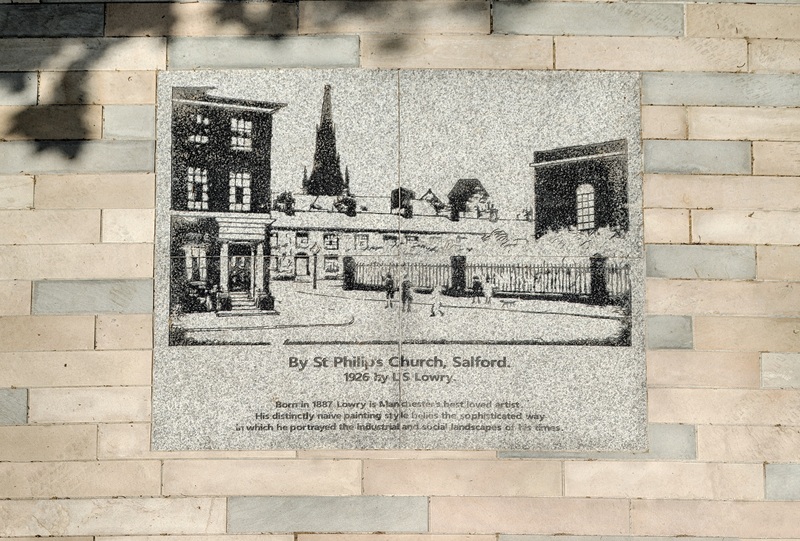 The primary objective of the scheme was to blend the old with the new, and re-establish the area’s historic street layout, which had long since disappeared, reinstating a natural flow of the scheme’s streets towards to the area’s centrepiece – St Phillips Church. Therefore, in order to create a clearly defined route towards the church, a paving solution that was sympathetic the area’s rich history, but that also complemented the neighbouring contemporary styled Georgian terraces, was required. 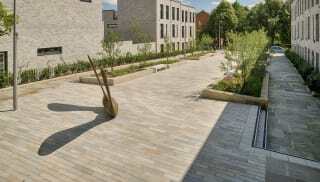 Care also had to be taken to incorporate a cast iron sculpture, designed by Andrew Mckeown, in the form of two sycamore seeds installed in 2002 to represent the life and future growth potential of the Salford area. 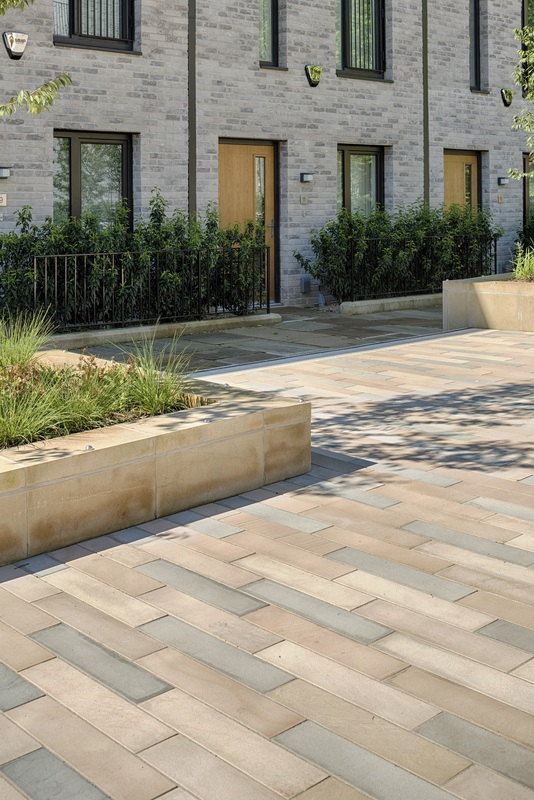 Marshalls’ Vasanta blend Sandstone was selected as the ideal choice for the project. 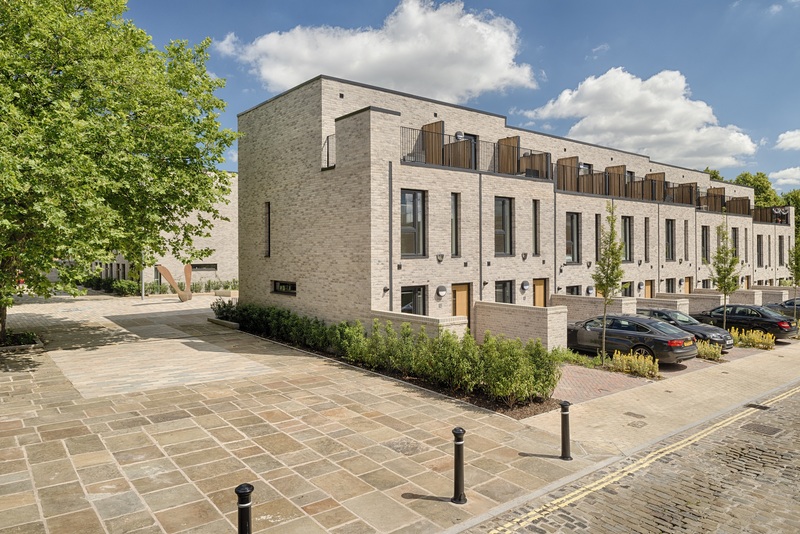 The contemporary linear plank style created a wide, open feel to the pedestrian boulevard, creating the perfect approach to St Phillips Church, and an inviting walkway for residents and visitors alike. The Vasanta Blend of colours is inspired by the first Spring sunshine of the year. It mixes a beige base colour with a range of other shades of pale greys to warm buffs that create a truly unique blend. 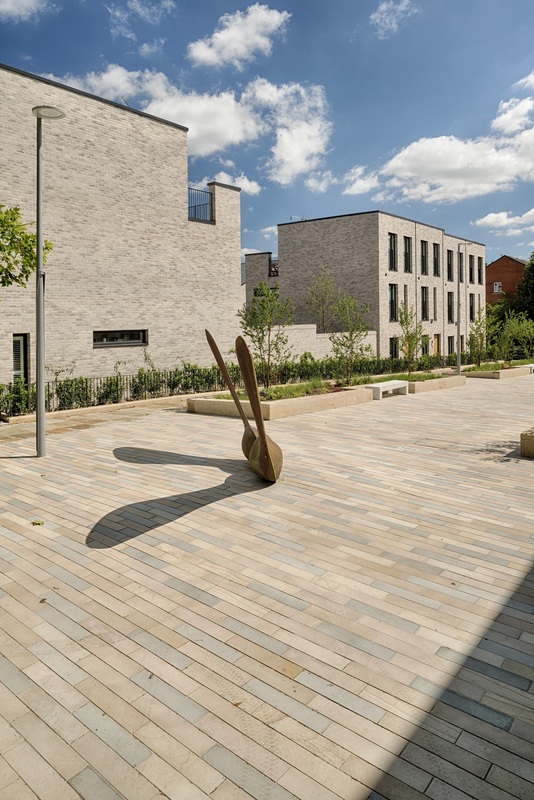 This gentle colour blend and subtle variations throughout the natural stone provided a harmonious balance between traditional and contemporary which mirrored the historic areas redevelopment. Throughout the space, striking bespoke water jet cut flags have been included in the pedestrianised areas, capturing local scenes made famous by the eminent Salfordian artist LS Lowry.